Aside from skin and neck sagging with age, few other skin conditions are as jarring on the eyes and on the mental health of a person as hyperpigmentation. While with skin sagging there is a point of acceptance because it is deemed a part and parcel of growing old, dark patches and spots are another story. These ungainly afflictions don’t wait till the sixtieth birthday of a person to raise their ugly heads. To add to our collective dermal woes, this is a very common skin condition, with most derm visits attributed to it. But wait, there is more bad news! Those dark spots and patches can be a result of a range of health and skin issues. Simply defined, hyperpigmentation is your body playing dirty and muddy with you! Let me explain this further. Everything in your body that can be described with a color, read eyes, hair and skin tone, gets its hue due to a natural pigment called melanin. This pigment is churned out constantly by cells called melanocytes, talk about your name describing your line of work! Anyway, the distribution of these cells and the amount of melanin that they produce is ruled by your genetic makeup. Hence people have different skin tones, eye color and hair color. As long as these cells are working as they should, you have no issues but the minute they go loca on you, there are visible ramifications of their malfunctioning. One of these is hyperpigmentation, which is nothing but some of the melanocytes depositing more melanin than they should at particular spots. This is what happens under the skin. 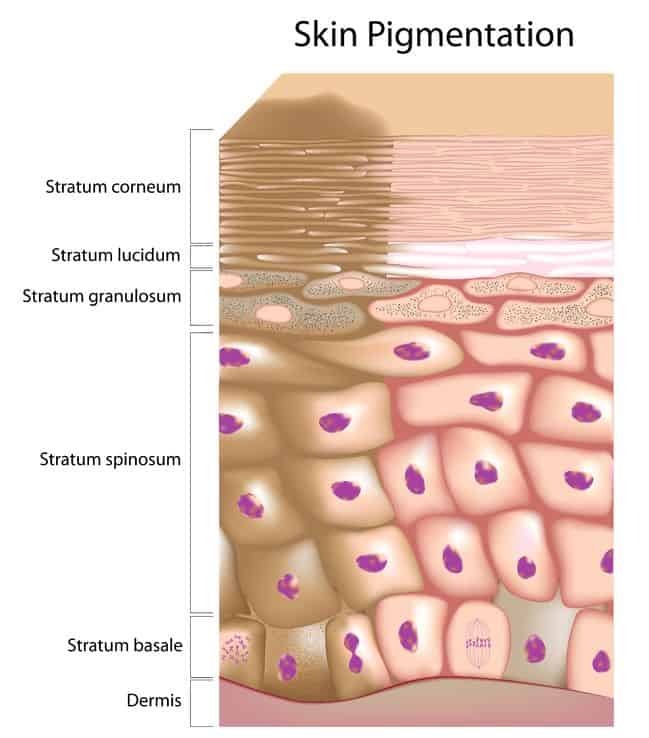 On the surface, you see this as dark patches or spots, depending on what caused the melanocytes to hyper function. That said, the condition on its own is pretty harmless although an eye sore. However, the same cannot always be said about the underlying cause that makes the melanocytes go crazy on you; more on this in a little bit. It’s being called the new wrinkle! The issue is very common and certainly not age or gender specific although women are more likely to suffer from it than men. Also, those with darker skin tones have a greater risk of developing hyperpigmentation. But, it is on lighter skin tones that these ungainly patches and spots seem the most conspicuous. In terms of color, hyperpigmentation can range from red to purple and from light brown to an almost black-brown. The dark spots also have a few favorite spots on your body where they like to make their appearance. Typically, your face, neck and hands are the target but you may find purplish/brownish spots on other areas of the body that are frequently exposed to sunlight. So, What Causes The Melanocytes To Dump All That Melanin In A Particular Spot? Addison’s disease: If you have hyperpigmentation along with abdominal pain, weakness and weight loss. Acanthosis nigricans: Yes, I know that sounds almost impossible to pronounce. Anyway, this condition causes hyperpigmentation in the armpit, neck and forehead and other parts of the body where the skin folds. The dark brown patches are accompanied by skin thickening and welting. Have this checked out because the condition can be both benign and malignant. Coeliac disease: Dark patchy skin is not the most common symptom of this ailment but it is experienced by some people. See your doctor if you have hyperpigmentation with severe gastrointestinal issues and weight loss. Tinea: You probably know it by the name “ringworm”. It is a fungal infection and highly contagious and yes it does spread to the face as well if you are not careful. Treat it aggressively if the dark patches on your face are a result of itchy, red rash followed by skin peeling. Nelson syndrome: If you have hyperpigmentation after the removal of adrenalin glands to treat Cushing’s diseases. Grave’s disease: If your dark patches are accompanied by rapid heart rate, extreme weight loss, enlarged thyroid glands, anger outbursts, diarrhea and sleep problems. Fortunately, things are not usually so serious! What are the 3 main reasons that cause hyperpigmentation? Any dermal injury, including the lesions caused by acne or eczema will lead to skin discoloration. This is called post-inflammatory hyperpigmentation. Depending on just how deep the wound runs and the damage it has caused, you may have an indentation with skin discoloration, which will just make the hyperpigmentation seem more intense. These patches are a result of hormonal fluctuation. They usually run down the center of the face and are seen on the cheeks and nose. Unlike the dark spots that result from acne, melasma will lead to the appearance of dark patches without clearly defined borders. Also, the patch may start off as a light colored, tiny dot and then increase in size and darkness. Birth control pills, pregnancy, menopause and hormone replacement therapy can all cause this type of hyperpigmentation. Caused in response to UV ray exposure and damage, liver spots also known as age spots are small, sort of like freckles or a bit larger and red or purple in color. If you have dark skin tone, they will be brown. Since UV rays cause the melanocytes to go into hyper drive, these dark spots can be found on any part of the body that is constantly exposed to sunlight, including the face and hands. Harmless hyperpigmentation, as I like to call it, usually appears as a series of dark spots or continent shaped dark patches. I had actually spotted Australia and North America on my cheeks once but I’ll leave that story for another day. The patches/spots are localized, which means that they are on the face and at the most on the hands. The skin is non-raised and in terms of texture, no different than that of the surrounding area, unless the dark spots are a result of acne in which case, you may feel a distinct depression on touch. Depending on the type of hyperpigmentation you have (read above), the dark spots will appear as the skin heals after trauma or will start as light spots and darken over a period of time. With patches, they generally start small but can grow in size. Also, the color can go from a light brown to a deeper almost chocolate brown. Should I just leave those damn dark spots alone? The deal with hyperpigmentation is that it ain’t one of those conditions that will resolve on its own. If anything, it may get worst. Your best case scenario is that the dark patches or spots will stay put on your skin with increasing in number, size or darkness. What I am trying to say here is that you will be better off trying to treat them than just leaving them to their own means. Besides, do you really want to sport a patchy or polka dotted face? I think I just heard a ground shattering “NO”! So, do continue reading to know about your options. How Is Medical Science Treating Hyperpigmentation These Days? Before I tell you about how derms are dealing with this “dark” and unrelenting problem, let me clarify something here. Hyperpigmentation is not a problem that can be cured. WAIT! Don’t give up hope already. I did not say that you cannot treat it. After all, this article would be pointless if dear, ol’ Olivia would not have a few treatment options up her sleeves. Let me simplify this for you. The problem, and I am not going to call it a disease or an ailment, because it isn’t, works on a cause and effect scenario. As long as you give your skin the cause, it will run with it and you will see hyperpigmentation as the effect. I will take this explanation one step further. If your hyperpigmentation is linked to sun damage and if you have managed to erase the dark spots, rest assured they will be back with a vengeance if you continue to expose your skin to sunlight without using a sunblock. Similarly, if your acne continues unabated, those zits will leave dark spots in their wake, ditto for dark patches caused by hormonal fluctuations and skin damage of any type. So, your treatment modality should not just involve erasing the existing hyperpigmentation but should also deal with the root cause of the issue. 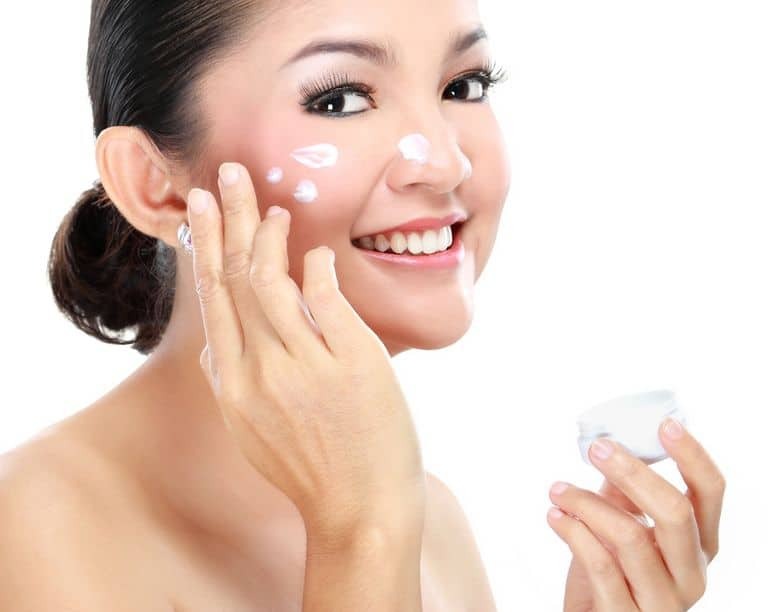 The top choice is a chemical called hydroquinone. Available in creams with various concentrations, it is effective but has serious side effects. It takes a few weeks to yield conspicuous results but can lead to significant photosensitivity. In fact, venture out into sunlight with this chemical on your face and you are likely to end up with even darker and larger patches than what you started off with. The fact that FDA and several European countries have banned the use of hydroquinone in OTC formulations should give you a gist about how serious its side effects are. This is done in two ways – microdermabrasion, which qualifies as mechanical exfoliation and chemical peels or chemical exfoliation. In both cases, the idea is to peel off the upper dermal layers that contain dead cells with excess melanin in them. Another reason to include exfoliation in the treatment modality is to ensure that the topical formulations have greater reach. Although exfoliation is necessary when dealing with hyperpigmentation and in skin care overall, chemical peels are quite harsh and don’t work for all skin types. The same also holds true for microdermabrasion. 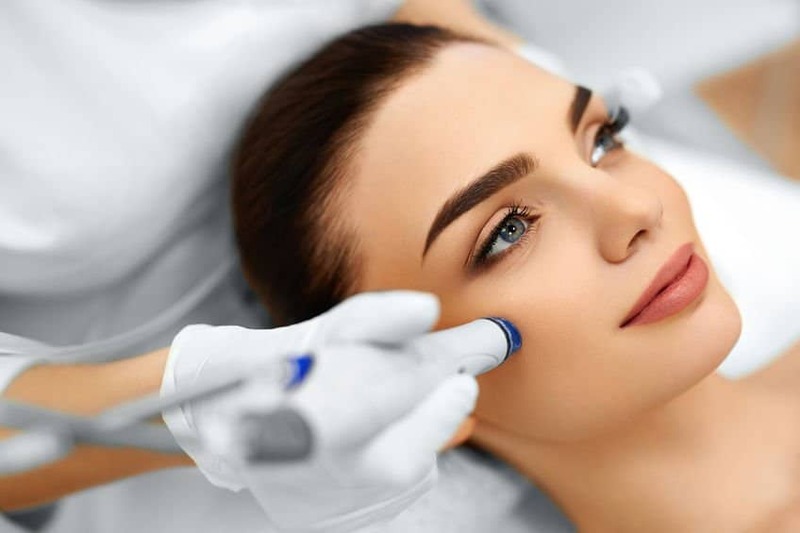 The problem is that these procedures can leave you with a significant amount of dermal inflammation, which will then lead to hyperpigmentation. So, can you see, how this can quickly turn into a vicious cycle that aggravates the issue instead of solving it? Another problem is that exfoliation does little to curb the workings of the melanocytes or to deal with the hormonal fluctuations that cause these cells to go into overdrive. In terms of technology, this is very close to laser hair removal, except that this time melanocytes in the darker areas are targeted instead of the hair follicles. The treatment works well for Caucasians and those with lighter skin tones because there is a significant difference in the color of the hyper pigmented areas and their regular skin tone. In darker skin tones, the laser cannot distinguish between normal skin tone and the areas covered in dark patches and spots and may end up destroying more melanocytes than required or worst burning non-pigmented skin. Another problem that stems from the destruction of these cells is hypo-pigmentation or white patches. No melanin means no pigment and hence whiter than normal skin. This too won’t create a huge splash on light skin but those with darker skin will find the white patches more conspicuous and bothersome than the hyperpigmentation they had meant to treat. Can Essential Oils Really Help With This Patchy Problem? In one word, YES! Essential oils are not only safe but also incredibly effective when it comes to hyperpigmentation. The active compounds in these aromatic extracts work on multiple levels to treat both the cause and the symptoms of hyperpigmentation. 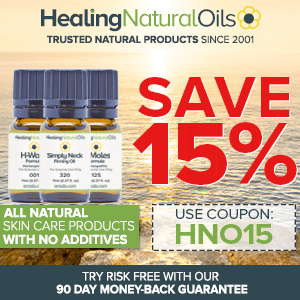 You will find a lot of essential oils that regulate hormone levels. There are also those that work as tyrosinase inhibitors. This is an enzyme that can be found in the melanocytes and is crucial for the production of melanin. Moreover, the bioactives in some essential oils are known to control both acne and inflammation. Plus, the right blend of oils can bring about an overall improvement in the skin tone and complexion. To add to this, you get the antioxidant benefits of these phytochemicals. So, with essential oils, it’s win all the way for your skin! A popular choice for all types of skin issues, frankincense essential oil has long been used not just to treat hyperpigmentation and scars but also to deal with dermal dullness and to enhance the natural glow of the skin. With its potent antiseptic and healing properties, this essential oil can ward off the effects of skin damage due to acne lesions as well as UV ray exposure. If that is not enough, frankincense EO also prevents signs of skin ageing, kills acne causing bacteria and regulates the levels of estrogen in the body. In fact, so potent are the effects of this oil that it’s rich, woody aroma can kick cortisol levels into submission and its estrogen regulating effects can clamp down on the physical and mental effects of PMS and menopause. I bet many of you are wondering why lemon essential oil has not been included in my list although it is often touted as one of the most effective natural treatments for hyperpigmentation. Lemon essential (cold pressed) is known to cause photosensitivity, which is a leading cause of dark patches hence I have only used it in one recipe. With sweet orange essential oil (not bitter orange) you get all the benefits of lemon EO and none of the side effects. Plus, the invigorating aroma of this oil helps you to bounce through the day. A rich source of d-limonene, orange essential oil not only helps to fade away scars but also provides antioxidant protection and speeds up the renewal of skin cells, thus facilitating faster skin healing after injury. Moreover, this compound has superlative abilities to seep through the epidermis and reach the deeper dermal layers. So, when added to a blend, it helps to greatly improve the absorption and effectiveness of the other oils. Additionally, the astringent properties of this oil also help to tighten the skin and prevent signs of skin aging. This exotic oil is the most expensive product in this list but its skin healing benefits justify the high price tag. An ingredient that is highly recommended in Ayurvedic scriptures, sandalwood EO not only helps to erase scars and dark patches/spots but also aids in rejuvenating the skin and boosting the cellular regeneration rates. It also helps to prevent and heal skin damage caused by sun exposure. If you suffer from rash, dry skin, eczema, psoriasis or any inflammatory skin condition, this is the oil to turn to. The fact that the regenerative properties of this oil also aid in keeping signs of skin aging at bay is an ancillary benefit that makes sandalwood oil an indispensable part of any skin care formulation. This sweet smelling oil is widely used for its balancing effect not just on the skin but also on the body, hormone levels and the mind. Apart from tackling scars, acne, hyperpigmentation and lack luster complexion, geranium essential oil will also tone down all your menstrual problems. Among the myriad of beauty benefits that this oil offers is the ability to clear out congested and dull skin and soothe inflammation. When applied to damages skin, it prevents the buildup of scar tissue, tames inflammation and controls redness. Moreover, like all other oils in this list, geranium EO will also fight off free radicals and add to the efficacy of your sunscreen. 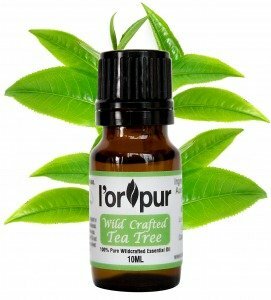 In terms of natural treatment, tea tree oil is pretty much the gold standard for acne control. But what most people don’t know is that this popular oil works on all types of blemishes, including the scars left behind by pimples and other forms of skin damage. With unrivaled astringent, antiseptic and antioxidant properties, tea tree oil offers 360 degree protection to the dermal layers while toning the skin and keeping the melanocytes in control. Because this oil also offers anti-inflammatory benefits, it helps to even out the skin tone and limit the damage caused by UV rays. Now, there is a fair bit of confusion about which carrot oil is the best for hyperpigmentation. Yes, there are three varieties available, including cold pressed seed oil, steam distilled essential oil and macerated carrot root oil. Of these three, go for the essential oil, which is a yellow- amber color liquid with a woody aroma. With the highest content of d-limonene and carotol of the three varieties, the essential of carrot seeds offers the most benefit when used against hyperpigmentation. It is also known to lift up dull and sagging skin and brighten the complexion. Since it is an astringent oil, you also get anti-acne benefits from it as it battles acne causing bacteria and gives them little room to thrive by reducing the pore size. A veritable classic and possibly the most popular essential oil in the world, the aromatic extract of lavender works on all types of skin blemishes. In fact, I’d say it would be more appropriate to ask what this oil cannot handle instead of pondering over what skin care issues it can handle, that is how good it is. From inflammation to UV ray damage and from acne scars to redness, hyperpigmentation caused by zits and melasma and hormonal fluctuations, lavender essential oil works on all of them and more. Plus, the aroma of this oil is without a doubt enticing and calming. So, it can truly do your skin a world of good. This oil brings extraordinary soothing and calming effects to the skin. If you are battling skin inflammation of any kind, clary sage essential oil will offer quick and conspicuous results. Because it also helps to balance hormone levels, it is particularly effective against melasma. Its astringent and antibacterial properties help to stop the root cause of post inflammatory hyperpigmentation by preventing fungal and bacterial skin infections. A balancing oil that regulates the workings of the sebaceous glands as well as the melanocytes, clary sage essential oil events out the skin tone and brightens the complexion. The “go-to” cure for all types of skin infections and hyperpigmentations in Ayurveda, this oil can still be found in a number of skincare products that are formulated to deal with UV ray related skin damage and hyperpigmentation. 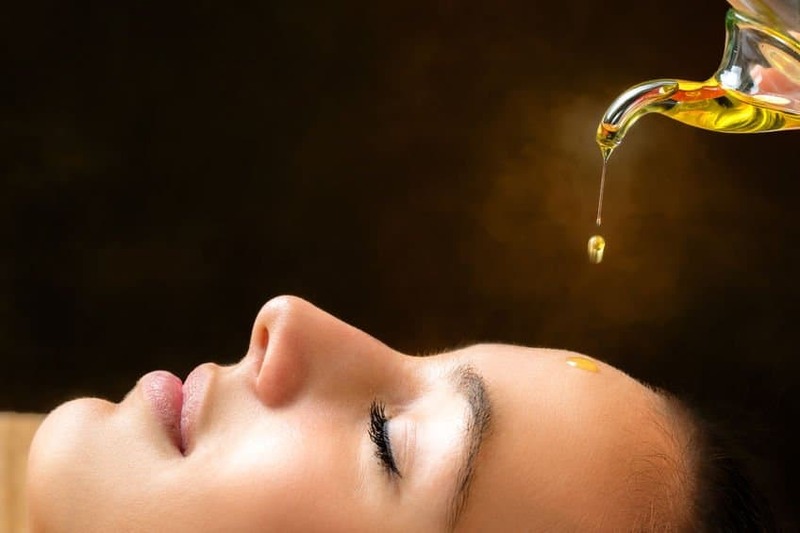 The yellow oil, which is rich in a number of antioxidants, is also a potent antiseptic agent that kills acne causing bacteria before they create trouble. It is also a strong anti-inflammatory compound that helps to speed the natural healing process. Turmeric essential oil helps to control premature skin aging and has been clinically proven to limit skin damage due to sun exposure. You will, of course, be using carrier oils to dilute the essential oils in this list. So, here is a look at the best base oils for hyperpigmentation. Typically, oils that are rich in vitamin A, D, E and gamma linoleic acid offer the most significant results against hyperpigmentation. Rosehip seed: A light oil that is prized for its ability to even out and lighten the skin tone. Sea buckthorn: Rich in beta carotene, as long as your skin can tolerate it, you will find the results of sea buckthorn oil to be nothing short of amazing. Sesame seed: Although this one may seem like an unlikely choice, it has been used for centuries by Ayurvedic practitioners to brighten the skin tone and treat blemishes. Mustard seed (carrier not essential oil): This pungent smelling oil is another contribution from Ayurveda. It is still used to treat all sorts of skin problems including dark patches and complexion dullness. Evening primrose: Rich in GLA, this oil can help to heal the skin and prevent acne. Moreover, it is also known to calm hormonal fluctuations. Papaya seed oil: Possibly one of the rare oils that help to effectively yet gently exfoliate the skin, papaya seed oil contains papain, which can deal with all types of skin tone issues. Use a dropper to pour the EOs in the glass bottle. Mix by swirling them slightly and top with the blend of carrier oils. Cover the bottle and roll between your palms to blend the oils. Let the mixture mature for 12-24 hours and then use as you would any face oil. You’ll need about 4-8 drops to cover your face and neck. The blend can be used on top of any serum, including formulations that contain active ingredients like vitamin C or retinoid. You can also use it on its own. The mixture works well as a primer, so you can use a coverage product on top of it. If you are just going to use this blend and a sunscreen, apply this mixture first and then follow with your sunscreen. Like the other blend, this too can be used in conjunction with any other skin care product. The mustard oil in the recipe, makes this a rich and hydrating blend. So, if using a light serum, use it first and then layer this blend on your skin. Make sure that you only use steam distilled lemon EO in this recipe. Apply it on cleansed and exfoliated skin for best results. Preparation is the same as above. You basically pour the EOs into a dark glass bottle that can hold a bit more than an ounce and then add the carrier oil blend to them. 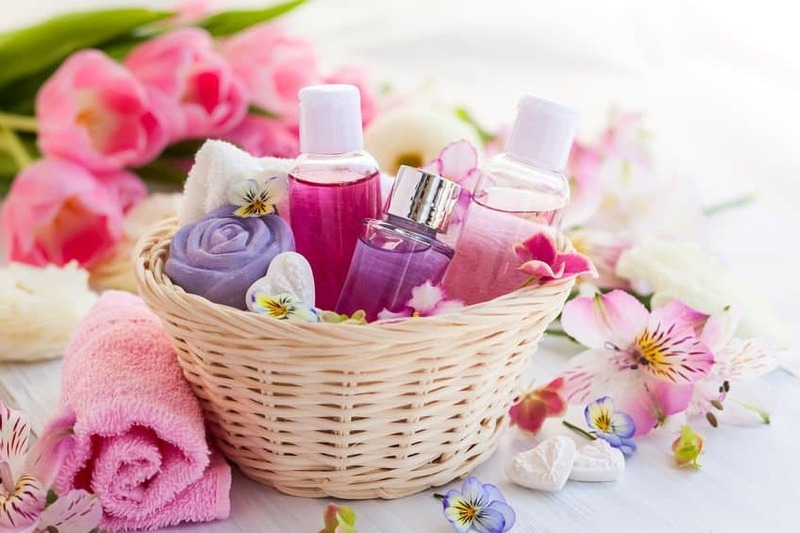 Recap the bottle and roll between your palms for a few minutes to mix the oils instead of shaking the bottle vigorously, which can degrade the aromatic compounds. To use, take 2-4 drops in the palms of your hands, rub them together to warm the blend and apply in upward strokes. Massage your skin for a few minutes and that is it. Don’t apply this blend too close to the lash lines. You will either need to make this gel fresh every time you want to use it or store it in a dark glass jar under refrigeration. When kept in the refrigerator, it can be used for 4-5 days as long as you don’t introduce moisture into the mixture. If storing the mixture, remember to not dip your fingers into it, instead, use a Q tip to take as much as you need. Remove the aloe vera gel into a small glass bowl and mix the licorice root powder with it till you have a thick and smooth paste. The consistency should be like that of toothpaste. So, adjust the amount of aloe vera gel as required. Once the paste is ready, add the EOs to the mixture and whisk well. Remove the paste into a small jar and store or apply immediately. You will need to keep this gel/paste on your face for about 5-6 hours. You can also use it overnight. Just make sure that you don’t get it into your eyes. You will feel some amount of stinging, which is attributed to the licorice in the recipe. As long as it is a mild heating sensation (the kind that you feel when using a muscle pain spray or balm) you will be fine. Wash with water at room temperature. This recipe will not only get rid of the dark spots and patches but will also rejuvenate, tighten and lighten your skin. In other words, if a sallow complexion or tired skin are also bothering you along with the hyperpigmentation, this face mask will be just right for you. Do not prepare the mask in advance. Instead, cleanse and exfoliate your face and then get the mask going. Peel the potato and dice the carrot and cucumber. Puree the veggies in a food processor and add about a tablespoon of thick yoghurt to the pulp. Give this mixture another whisk before removing it into a bowl. Mix in the pomegranate peel powder ensuring that you have no lumps in the resulting paste. In terms of consistency, you want a smooth and cake batter-like mixture. Finally, add the essential oils and stir well till there are no droplets of oil floating on top. Apply immediately in a thick coat all over your face and neck. This mask can also be used on the skin under the eyes. 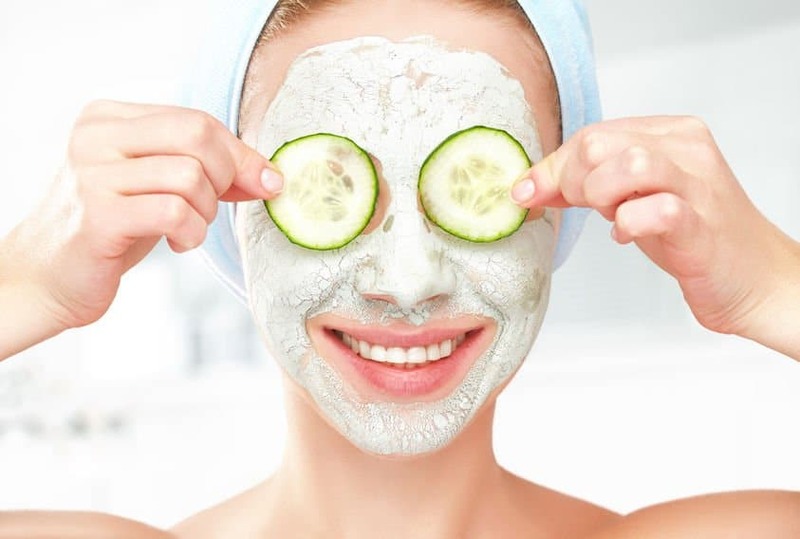 Keep the mixture on your face for 15-20 minutes and then wash it off with warm water (mixed with green tea if possible). This treatment needs to be done twice each week (spaced at least 2 days apart) and you will see distinct results in about 10-12 weeks. This is a light, buttery moisturizer that can be used whenever your skin feels dry and tight. It will moisturize and protect from dehydration and take care of the dark spots while at it. Use a double boiler to melt the plant butter. Starting with a heaped tablespoon of shredded butter will usually get you about 15 ml liquid when melted. Mix the oil with the butter when the latter is still in its liquid form. Wait for the mixture to cool to room temperature and then use a hand blender to get a smooth, creamy moisturizer base. Add the essential oils to this cream and whisk using a stirrer. Remove into a small jar (I never trash the tiny jars of face creams). Use as you would any daytime moisturizer. If using with your sunscreen, apply the moisturizer first and then the sunscreen. DIY Natural Treatments For Hyperpigmentation! According to Ayurveda, hyperpigmentation results from something called “pitta” dosha. To subdue this problem, add citric juices along with rose petals to your bath water and soak in it for a leisurely 15-20 minutes. A cup of orange or grapefruit juice works the best along with warm instead of hot water. Even when you don’t suffer from hyperpigmentation, you are risking skin damage with just 10 minutes of unprotected sun exposure, now imagine what happens when UV rays have already taken their toll on your skin? In fact, the dark spots and patches on your face tend to absorb more of the UV rays and the heat, think dark clothes versus light clothes. The heat causes further damage and skin darkening while UVA rays penetrate deep into the dermis causing irreparable damage to the connective tissue. So, avoid the afternoon sun as far as you can. Apply your sunscreen every two hours if you intend to spend time outdoors. Morning sun exposure is no better than the blistering heat of the afternoon when it comes to skin damage, ditto for winter days. Just because it isn’t as hot does not mean that those UV rays are not damaging your skin. In fact, sunlight and snow with its 100% reflectivity means you are getting a higher dose of UV rays in winter than in summer or in the mountains than at the beach. The greater the inflammation, the higher the risk of dark patches and scarring. So, if you have acne, itchy rash or sun burn, do NOT pick your skin. You are certainly not doing yourself any favors by damaging your skin further and inevitably transmitting the germs from your hands and nails onto the wound site. In case of acne, use an OTC gel with salicylic acid/benzoyl peroxide. For rash, use a cooling gel formulation. For itchy rash, add 2 drops each of peppermint and tea tree oil to a teaspoon of hempseed oil and apply. A sugar, fat and carb rich diet will not only increase inflammation but also throw most of your physiological systems out of gear, leading to un-natural inflammatory responses. So, external interventions to soothe your skin won’t help much if you are not doing anything for your skin from the inside. It is crucial to switch to healthy eating habits. Include juicy fruits, berries, leafy greens, raw veggies, egg yolk, green tea and healthy fats in your diet to keep your skin healthy and supple. Few things can help your skin as much as a good workout session. Sweating out in the gym will give your body, health and your skin a new lease of life. If cardio is not your cup of tea, even a simple walk will do your skin a world of good. If you enjoy yoga, try janu sirsasana, trikonasana, bhujangasana and uttanasana for balancing hormones and preventing skin issues. As you grow older, your body’s ability to absorb nutrition from food items steadily decreases. So, use high quality multivitamin to fill the gaps. You particularly need vitamin A, B3, B5, C, D and E for skin health. Zinc, omega 3 fatty acids, evening primrose oil, chlorella and COQ-10 are other supplements that you should consider. If you suffer from hyperpigmentation, you will need to exfoliate your skin once a day or at least on every alternate day. Use a cleanser with jojoba beads or soft botanical material or a sonic brush with a creamy cleanser. Do not exfoliate in the morning because you certainly don’t want to expose your freshly exfoliated skin to sunlight, which will lead to increased inflammation and skin damage. There you go guys, now you know how to prevent and treat hyperpigmentation. But before I sign off, I am going to tell you about the curse of the 4S’- Stress, Smoking, Sleeplessness and Sitting. Together, these 4 can damage every system and organ of your body, your skin is no exception. So, if you are serious about kicking hyperpigmentation out of your life, quit smoking, get your 7 hours of sleep, don’t sit continuously for more than an hour (walk, pace around or stand at least for 5 minutes after every hour of sitting), quit smoking and work on your stress levels in any way you can. Remember, halfhearted attempts never yield full results! So, all your external interventions to treat hyperpigmentation will only produce minimal results if you don’t work on your body from the inside. That said, here is wishing all of you clear, glowing and blemish free skin for decades to come! Hi, can I substitute mustard oil with sesame oil in your night serum recipe ? Thank you. Nice article. However, I am a bit confused to see ‘mustard oil’ as carrier oil in the ‘treatment for hyperpigmentation’. Mustard oil rates pretty high on comodogenic scale. Is it safe to use? Or is there another carrier oil that can be used in it’s place? I am.looking for treatment for acne spots hyperpigmentation. However, I am also having active acne. In lieu of mustard, you can use argan, tamanu, sesame, evening primrose or rosehip seed as carrier. Just found your site and enjoying all the wonderful information. Would one of these recipes work well for the ugly brown spots on my back of my hands? Indeed, you can try the recipes for your hands. Can you substitute any other oil for the mustard oil in the bedtime recipe? I can not find mustard oil. You can use evening primrose oil instead of the mustard oil. What is a good brand of mustard oil and where can you get it? Thank you for your wonderful article. I have really learned a lot. Thank you for the links to the mustard seed oil. Have you tried both of These? If so, is one better than the other? One is such a large amount of oil so I wasn’t sure if it was as good/pure as the smaller one. Thank you again for the help. Happy Easter!!! Sorry I haven’t. I’ve got my supply of this particular oil from India and Australia. Thank you, have a great Easter too. Another well researched, interesting article. Thanks, so much! Appreciate the compliment, thank you. I am currently undergoing skin treatment for hyper pigmentation and was wondering if i could use the EO recipes at the same time and if there was anything else i could do to make the pigmentation fade faster. Thanks! There should be no issues, however I would talk to the clinic about it before doing so. You also need to wear high SPF sun protection (30+) to avoid further sun damage.